I added Chelsea to make doubly certain for my Philadelphia audience that you did not think I was referring to Philly’s Kensington. Why? Because today’s piece comes from the Guardian and refers to the neighbourhood where the Grenfell Tower caught fire and the inferno killed dozens of people. This is not the most complex piece, but I really like the annotations and notes on the choropleth. They add a great amount of detail and context to a graphic that I imagine many places would be okay leave as is. I can see why the colour palette differs for the two maps, but I wonder if it could have been made to work as a unified palette. 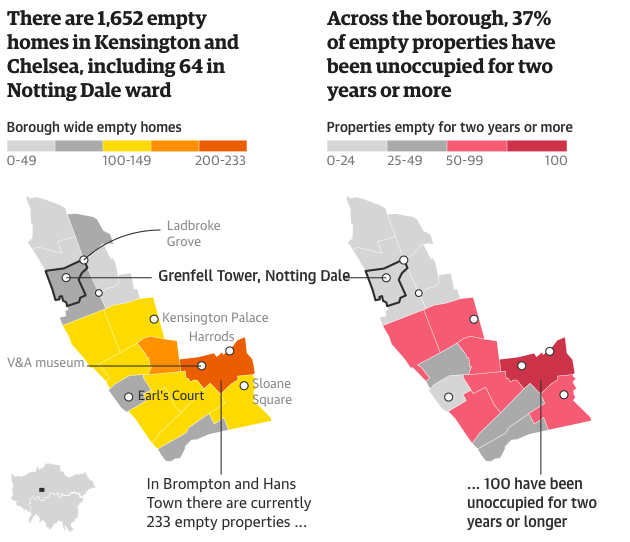 This weekend, the New York Times published an online piece explaining the spread of the Grenfell Tower fire in London. 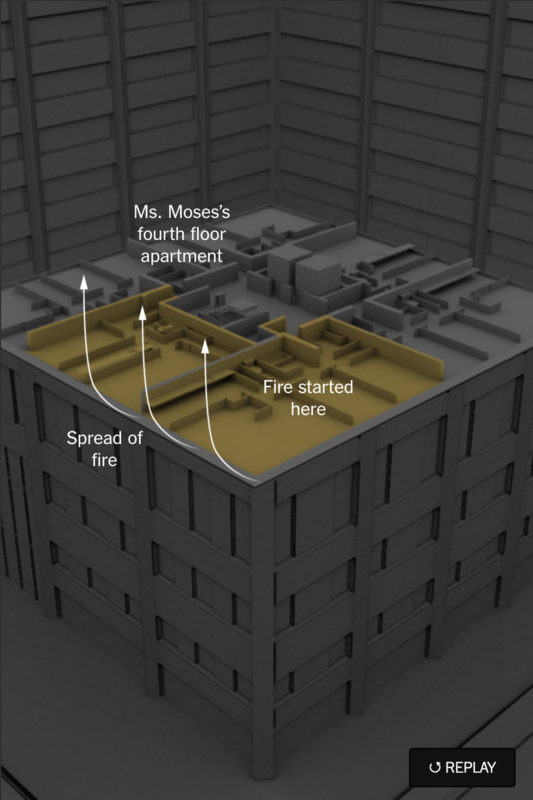 The story uses small animated graphics and videos to show the origin and progression of the fire from an exploding refrigerator on the fourth floor to its trapping of residents on the 23rd and final floor. Credit for the piece goes to Troy Griggs, Mika Gröndahl, Josh Keller, Jamine C. Lee, Anjali Singhvi, Megan Specia, Derek Watkins, and Jeremy White.